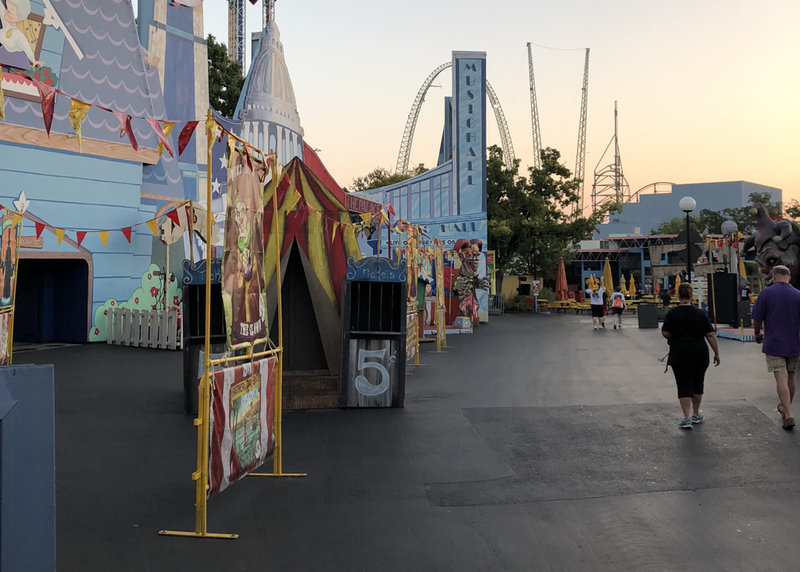 Fright Fest 2019 takes place from Friday, September 27th to Sunday, November 3rd. The event features a wide array of thrilling shows, haunted houses, and more to keep the entire family satisfied. 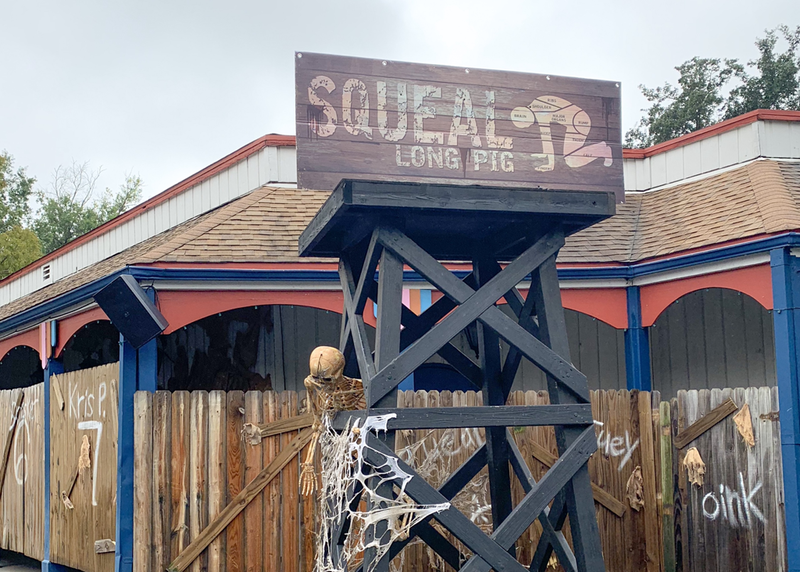 Below we will break down pricing, activities, and dates to simplify the planning process and provide details on what all to expect out of your Fright Fest visit. Shed… it’s horror gone hog wild. 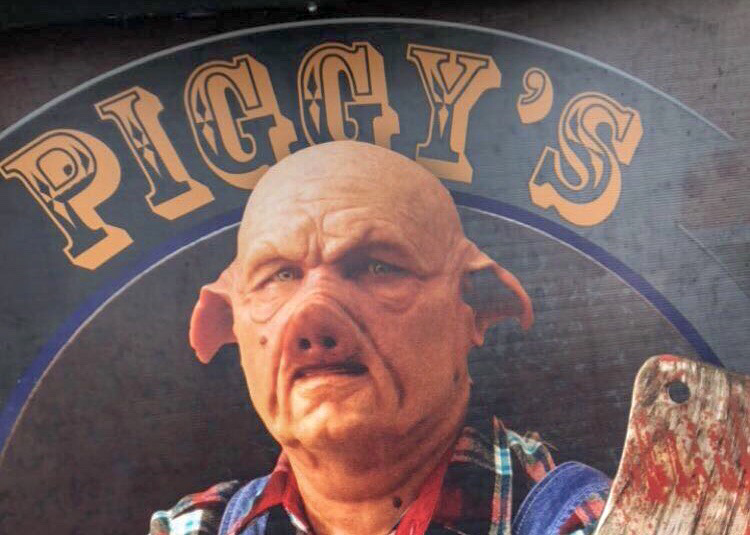 The head chef, Piggy, has a bad attitude and is out for vengeance. He’s looking to show humans what it feels like to be cooked, roasted and eaten." "The zombie apocalypse is upon us. They have no need for sleep, no need for rest, and no need for water. The only thing that drives them is their mission to turn every living soul they encounter into one of their own. The Zombie Squad generals plan to take on as many new zombie recruits as it can find." "Death and decay linger behind due to the vacant and deteriorating building still claiming autopsy tables, bone saws and embalming fluid that were left vacant in the deteriorating building as if it’s awaiting another body. 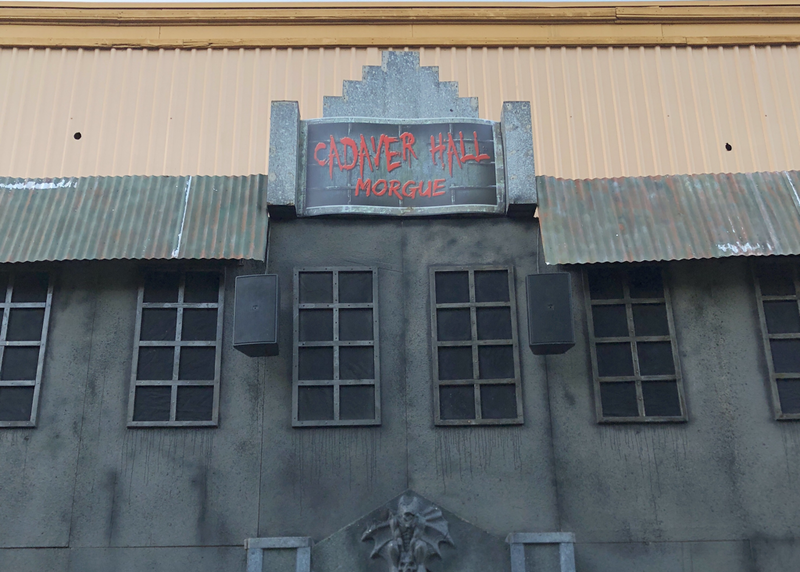 The crematorium, autopsy room and hallways are still haunted by those who were brought in, but never left…"
"Pay a visit to this chaotic, black light city where murderous clowns run rampant in the moonlight. A few years after Bozo's escape, a new traveling circus proclaiming to have “the funniest clown show on earth – so funny, you’ll die laughing!” came to town and setup at Six Flags Over Texas. That wicked laugh resurfaced. Bozo’s back…"
"Try and navigate your way through the dark as your senses are assaulted from all directions. Look out for the demons that hide in corners lying in wait to claim their prize. Those who show their fear will be the first to go and despite the common phrase– the strongest will not survive! Enter if you dare and prepare for the ultimate scare." "When you hear a violent squeal beware because it could be the cry of the half human, half swine who captures humans to dine upon. You see Long Pig is a term that means human flesh that’s intended for consumption. For those who have tried, they state humans taste just like pork. Those who participate in this practice indicate that the ritual of capturing humans has gone on for more than 100 years. Halloween has always been the time that these "cannibal elite" feast on Long Pig." 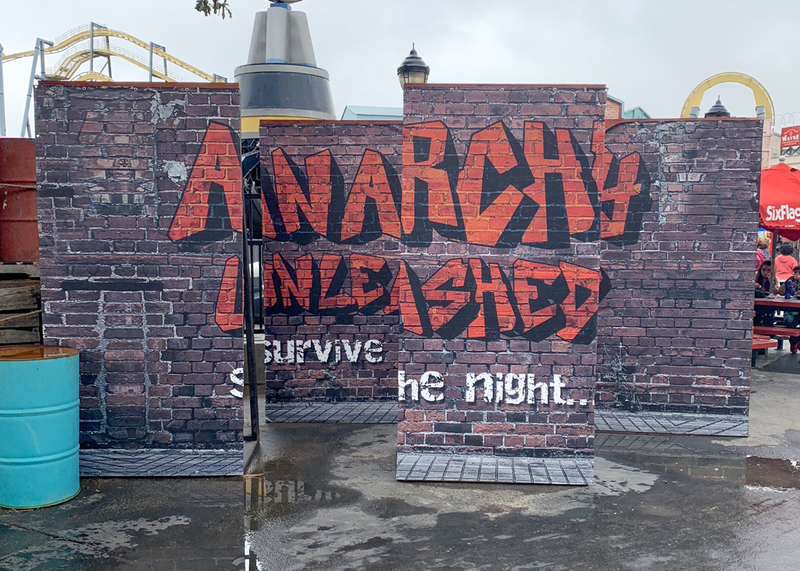 *Note* Anarchy Unleashed is where you can find the parks popular "sliders." The gang formally known as the Goblin Attack Squad have all joined this zone. 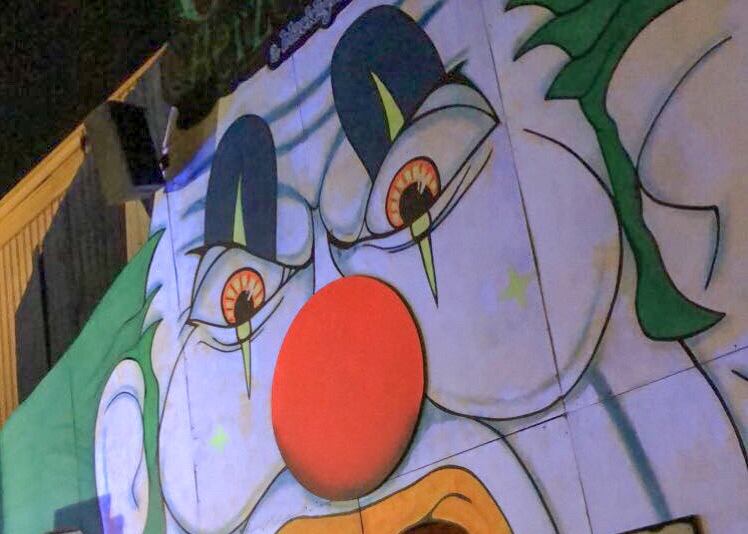 "Once a thriving traveling circus, Freaktown Side Show quickly lost its regard and reputation when jealousy within its circus community lead to “elimination." As time went on, the more glorified performers began to disappear, and the exciting acts became thin. Today, the freaks that reside in the area shrug off the fact that they are rejected by society and keep to themselves. To the freaks, outsiders will never be welcome inside, or even near, what’s left of the Freaktown Side Show tent." 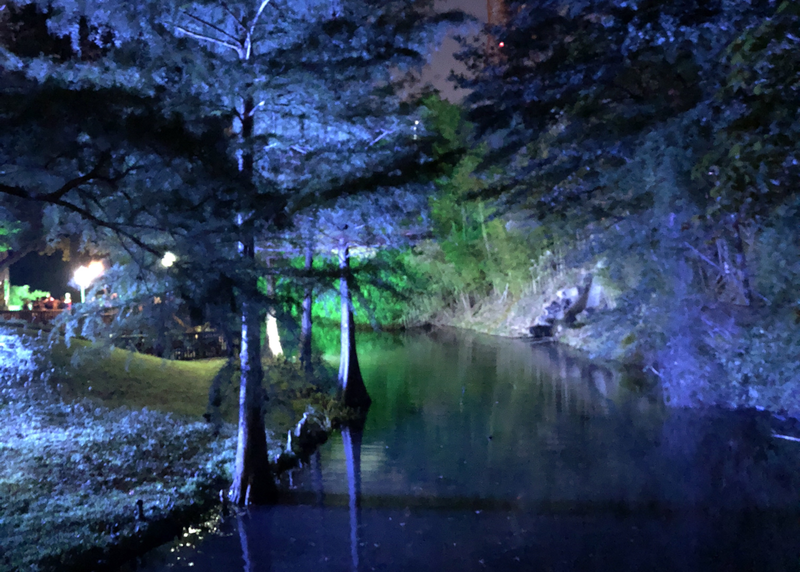 "Mutant creatures roam the land next to Caddo Lake, making sure that no mortals make it out alive. All you will hear is the sound of screams as the living begin to disappear one by one into the Voodoo Swamp." Experience any one haunted house of your choice. Enjoy all 6 haunted houses as much as you want all night long. 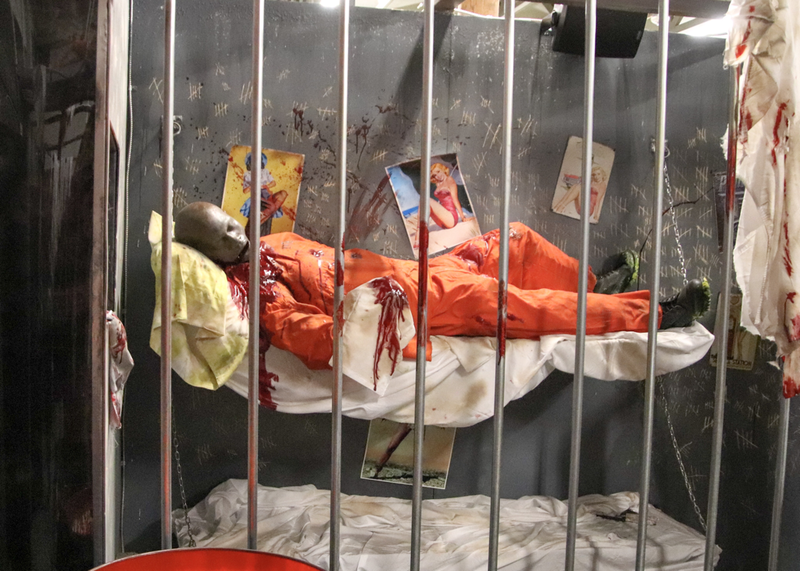 Enjoy all 6 haunted houses as much as you want all season long. The VIP Express Pass allows you to bypass a majority of the regular haunted house queue. Tired of waiting in long lines for the haunted houses? Just head to any booth and upgrade to VIP. Diamond Members get 1 Single House Pass each visit. Diamond Elite Members get 1 Single Day Wristband each visit. "May wear a full costume to include masks and full face painting if accompanied by an adult. "Costumes must meet the Six Flags Dress Code policies. All Costumes must be appropriate for a family oriented environment and must not have inappropriate language, photos, or imagery. Accessories such as tiaras, cat or devil ears, and any accessories sold at the park are permitted, but must be pliable and made of non-sharp plastic. Accessories such as replica guns, knives, or other weapons are not permitted. 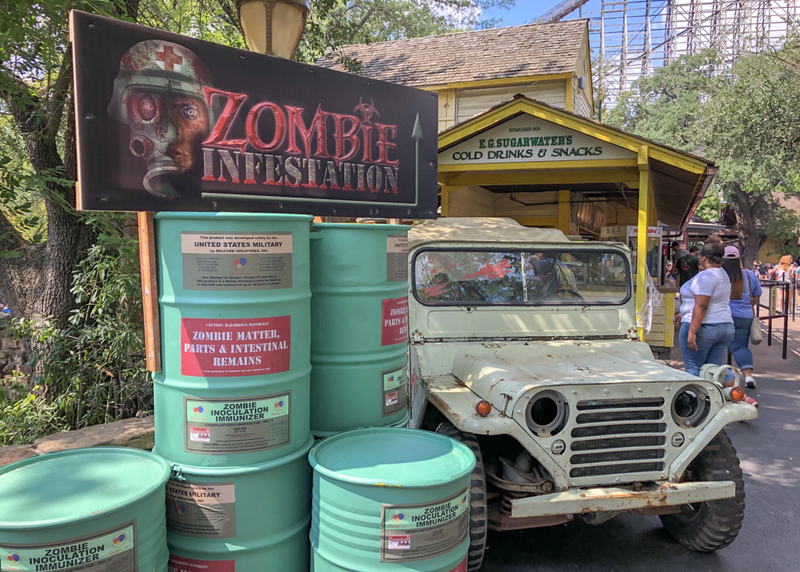 All accessories, masks, and loose articles must be removed and secured prior to riding any rides. Riders must meet all rider restrictions and follow all ride rules. 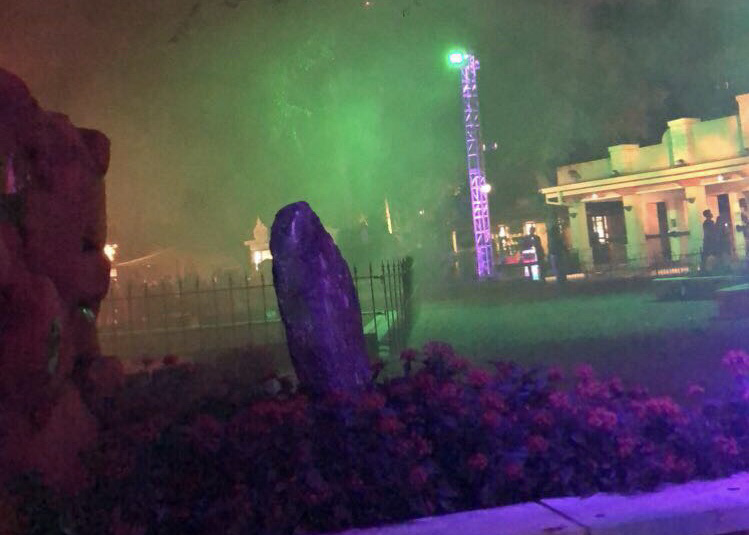 Six Flags reserves the right to approve or deny any and all costumes. 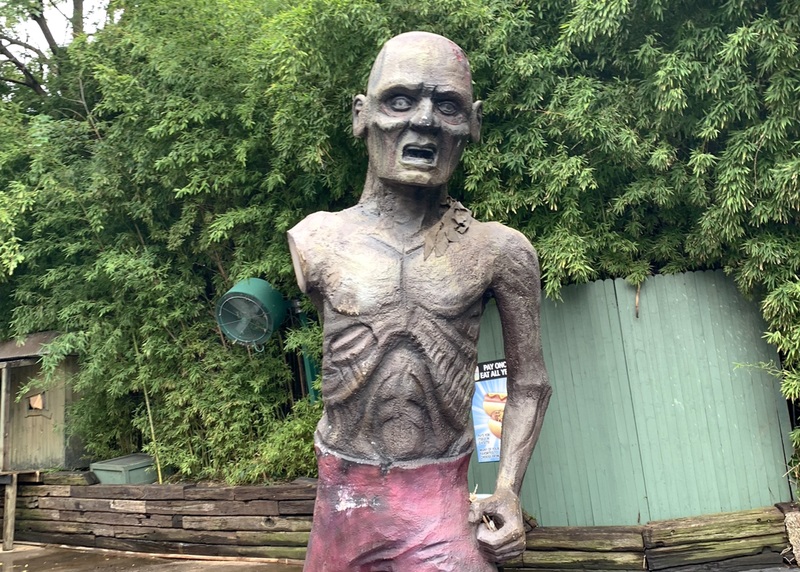 Judgments regarding appropriateness of body art, attire, grooming, makeup, or accessories are solely the discretion of the management of Six Flags Over Texas and said management reserves the right to deny entrance to any individual or group not conforming to these standards.